Another page looking back just over 20 years ago. I still find it difficult to imagine how much change we have seen on the W.A. Railscene in the last 20 years or so. Hopefully for some it will be a bit like a trip down memory lane for the younger ones check out what the locations in these photos look like today. ADX662+ADX668+ADA/V765+ADX666 head through West Leederville station on 3 October 1983 during the Royal Show week. 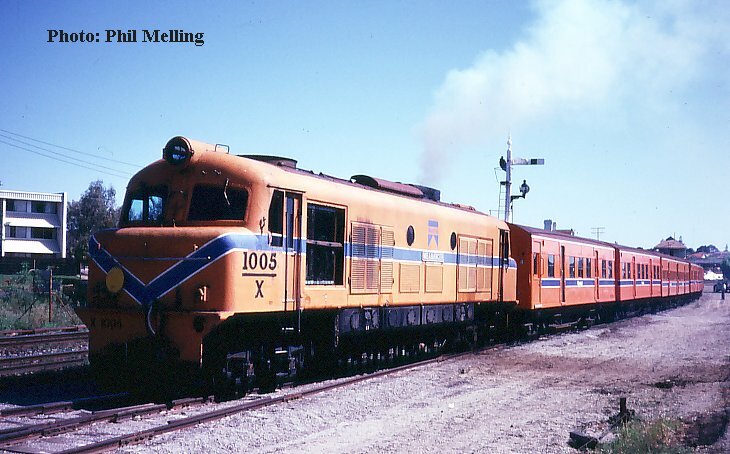 X1005 "Meananger" leaves Claremont station with a loco hauled train to Perth on 3 October 1983. 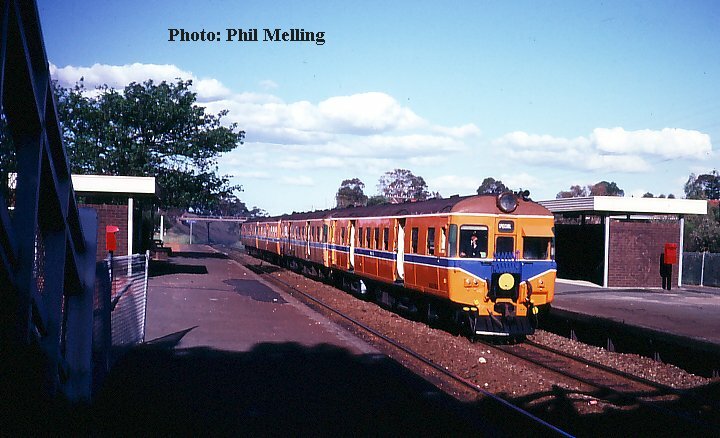 W920 then named "Sir Ross McLarty" arrives at Dwellingup from Pinjarra with the VIP train on 23 October 1983. This was the day Hotham Valley officially opened their new depot at Dwellingup. On 14 October 1983 AL23 hauls a loaded grain train into Parkestone. 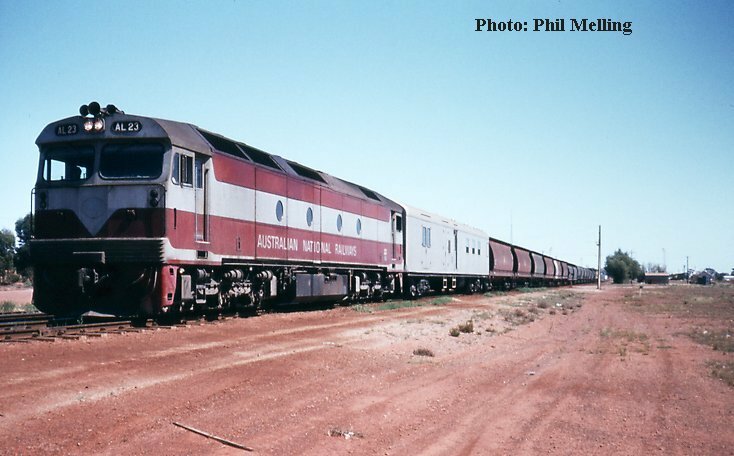 Back in 1983 several of the states in the eastern part of Australia were suffering from a drought so grain was loaded at Kwinana and Kewdale for export across to the other states. 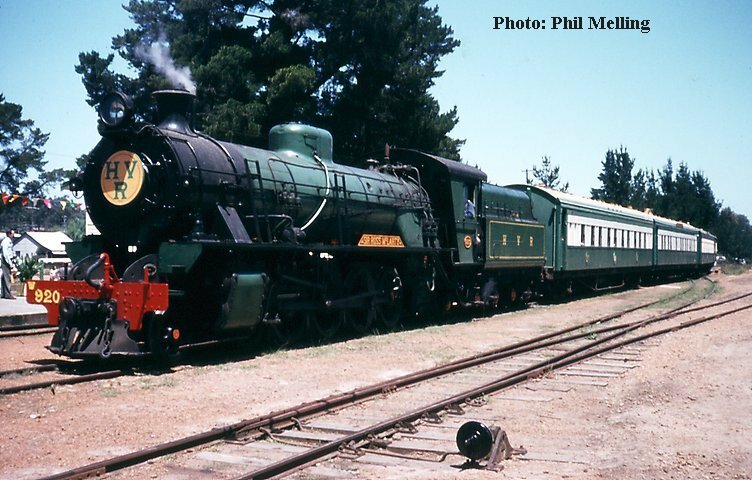 It was certainly different to see grain trains at Kalgoorlie/ Parkestone. 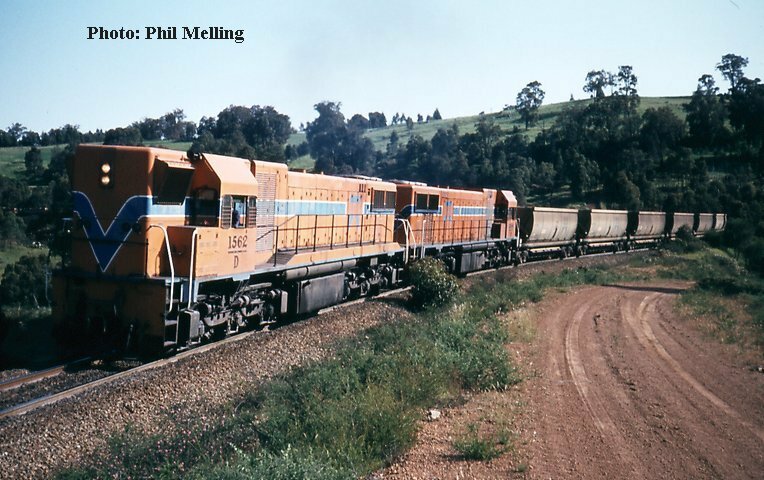 Clyde-GM pair D1562/D1564 haul an empty bauxite train along the now closed Jarrahdale branch heading for Jarrahdale on 15 October 1983.